Mass Communication students Danielle Martin and Christian Bermea travelled to Beijing with GCJD . The center hosted a conference on Data Journalism, and the two students were responsible for helping with logistics, and social media. They also created a video, which can be found HERE. Both had much to say about their experience. I was honored to travel with the Global Center to China. The experience has helped me grow mentally, and physically, and emotionally. Before traveling to China, I had a whole different perspective on how China was supposed to look, smell, and feel. Surprisingly, it was the complete opposite. Being the most populous country in the world, China is filled with busy streets with most people riding bicycles. The subway stations are unbelievably busy. The scenery is more beautiful than you would ever imagine, filled with tall buildings, and several shopping districts offering an overwhelming variety of goods. China is known for bad air pollution, but it didn’t bother me as much as it did others. I was there to help out with and attend a conference on data journalism. I learned a collection of new information, and was opened up to new skills and techniques that I believe to be useful. I was able to connect with the students of Tsinghua University and hearing them say the workshop was “extremely informative” personally makes me want to continue working with the center knowing we are making a difference. During the down time we had in China, we visited several historic sites including the Summer Palace, the Great Wall, the National Museum, the Summer Olympics buildings, the Forbidden City , Tiananmen Square, and the Lama Temple of Heaven (the place where the Emperors of the Ming and Qing dynasties would worship Heaven and pray). Most of these places have this glow that seems even more magnificent in the sunshine, with glittering yellow glazed tiles on the roof and deep red walls and pillars. They had been there for thousands of years, and have a specific style that marks the ancient history. After visiting these places, I had gained more knowledge of the people and atmosphere; great lessons for an aspiring journalist! I saw poverty as well. I believe there are many Americans who don’t know just how good we have it here. Traveling to China took me out of my comfort zone, and made me extremely humble for the things I do have. I have no doubt that I will never forget this experience. This trip motivated me to travel to other countries to learn more about other cultures. I was truly thrilled to join the Global center for Journalism and Democracy on its first trip to China. The experience was indescribable. It was the closest “real world” involvement I have probably ever had. All of the lessons were hands-on, and that’s the best way to learn. A week prior to traveling to China, I couldn’t stop obsessing over it. The culture, people, food, and of course the workshop that would be held. On the plane ride I had a lot of time to think to about what China would be like, but what I Imagined was not what I saw. It was so much better. The ancient buildings, the crowded streets, and the mountains in the background were quite a sight. During the conference that GCJD hosted, I gathered so much information. It opened my eyes to things I was unaware of in China. But I also learned some lessons that I know will help me out in the field to make an impact within the media. The trainers that GCJD brought to China were very professional and provided examples that were relevant in helping us become better storytellers. This trip was the best of both worlds because while learning I was also able to take advantage of cultural outings such as a visit to The Great Wall of China, Tiananmen Square, The Summer Palace, as well as local markets and shops. Setting foot in all of those places was surreal. It made me realize how truly “easy” American life is. I believe that what The Global Center is doing is excellent because it is giving students once in a lifetime opportunities. 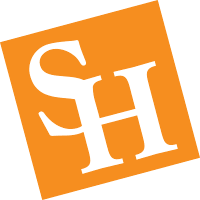 Students at Sam Houston State may not have the resources or connections that students at a larger university might have. At the age of 21 I went to a country that many may not be able to visit in their entire life, and for that I will be forever grateful. GCJD’s work doesn’t stop there, as it continues to raise awareness on campus and train journalists globally. They do it all. Every student should take advantage of this! This experience is something I will clearly never forget. It has sparked a new curiosity about travel to not only understand different cultures, but to also observe how the media plays a role in society. GCJD has prepared me for all of that, and words will never be able to describe how thankful I am.